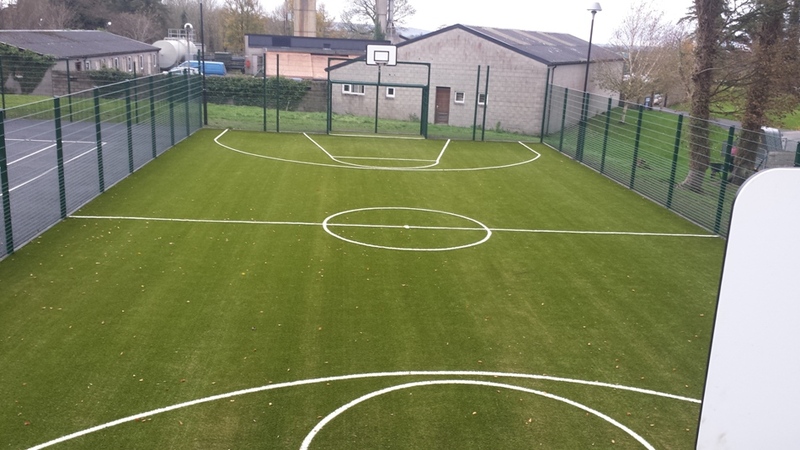 32m x 14.5m ball court with integrated goals 2m high x 3m wide on both ends complete with basketball provision. 3m high single leaf gate. Artificial Grass Surfacing with line markings for both soccer and basketball.